A few years ago I was asked to perform a wedding at church. The prospective bride having seen me week after week in church in jeans and a hoodie asked her dad in a slightly concerned manner if I would officiate the wedding in my usual attire. Peter here talks specifically to young people but this verse is connected to the previous verses by the word "likewise". Like who? Well just prior to this he is talking to church leaders. So he is saying, "ALL OF YOU", including church leaders and young people alike, its time to put your clothes on. And the clothes of choice, HUMILITY. And it would seem that God, at least in part, leaves this choice to us: Clothe YOURSELVES, Humble YOURSELVES. 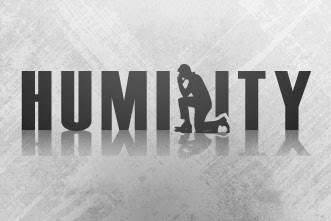 God help me to cover my pride continually by taking up and putting on humility today and every day no matter how much the struggle.